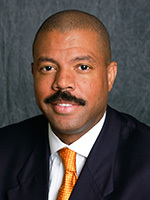 A lifelong resident of Houston, Senator Borris L. Miles was elected to the Texas Senate in 2016 after serving four terms in the Texas House of Representatives. Miles is a successful businessman and developer, owning one of the largest insurance agencies in Texas and redeveloping two commercial blocks. A fighter for the people, Miles was first elected to the House in 2006 and became a leading progressive voice. His legislative initiatives included increased funding for HIV testing, giving second chances to individuals by making it easier to seal their juvenile records, creating an ombudsman office for the juvenile justice department, and creating economic development opportunity districts in his community. 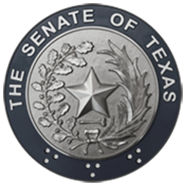 For his work, Miles’ recognitions included being named “Star of the Legislative Session” by the Texas Classroom Teachers Association, “Champion of Women’s Health” by Planned Parenthood and an “Urban Agriculture Leader” by the Texas A&M Agrilife Extension. Active in his community, Miles conceived the Hip Hop 4 HIV concert series, which was adopted by the CDC, and has given his time to organizations like the Urban League and the Houston Sickle Cell Association. Miles’ non-profit, the TexStars Foundation, has awarded more than 100 scholarships to pay for the college education of African-American men.